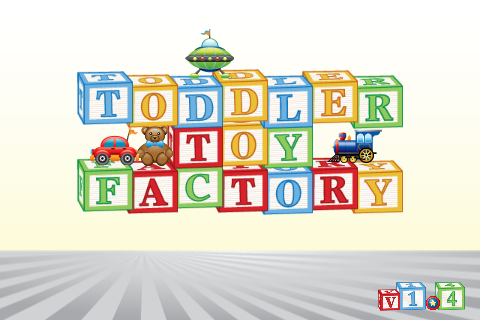 Toddler Toy Factory - an iPhone App for Toddlers - Welcome To ToddlerToyFactory.Com! $0.99 in the Apple App Store - Click here! and getting to play with toys at the same time! Toddlers enter one of two rooms (more rooms coming soon): Make or Play. 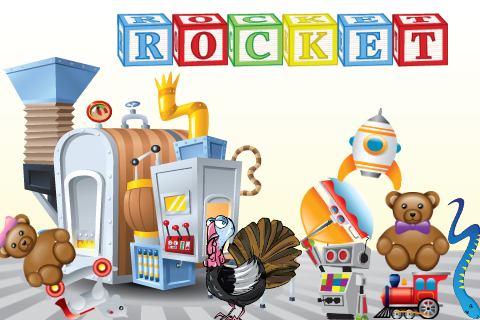 In the "Make" room, your child will drag individual letters into the Toy Machine to build cool toys. After the word is spelled out completely, the toy is brought out of the machine, the word is spelled out by voice and then read aloud. 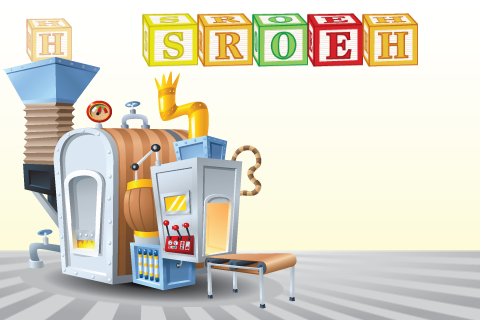 Toys come out of the machine and even pile up on the factory floor -- toss them around, play with them or throw them back in the machine! 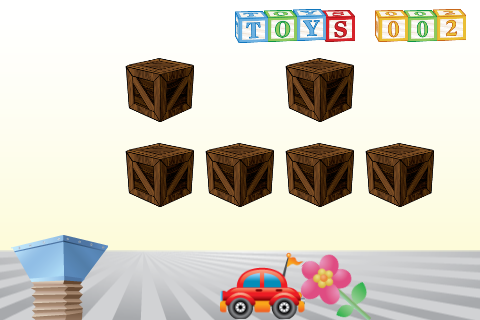 In the "Play" room, your child will search through crates to find matching toys. 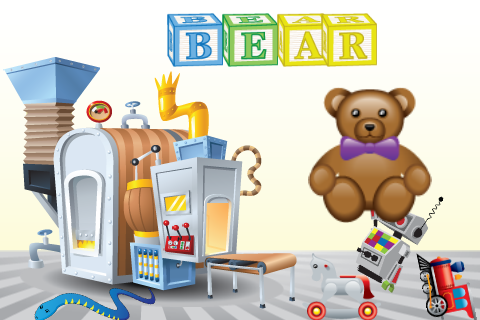 When he or she makes a match, the toys are released them from the crates and dropped to the factory floor. Play with them or clean up by dragging them over the machine's spout. Each toy dropped into the spout increases the toy number counter at the top of the screen. Free updates to come, including additional toys, new features and more rooms!